Josh Hutcherson answers 19+ questions about himself. Thank you to Cincinnati and Northern Kentucky news team Fox19.com for posting these videos and Twitter user @HutchBeMine for sharing it with us. Here is another video from when a Josh Hutcherson Bobble Head was handed out at a Cyclones hockey game. Last night was opening night for The Vampire Academy film in our city. 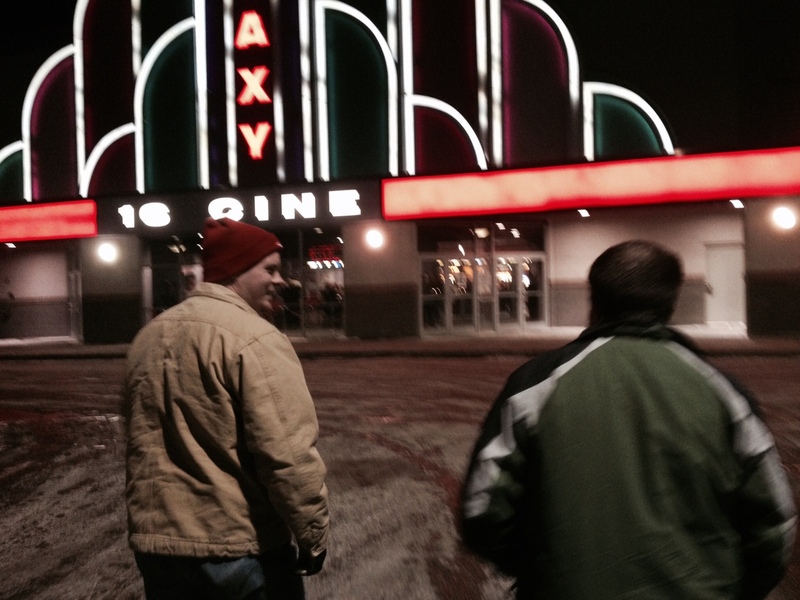 We went to see it, along with our reluctant (yet supportive) husbands. Date Night Attire: Casey wore her St. Vladamir Academy Guardian jersey shirt with Belikov on the back, clearly indicating her fangirl icon for the evening. I had no Vampire Academy attire to speak of but I did wear my Mellark Bakery jersey shirt to indicate my dedicated fangirl status, regardless. 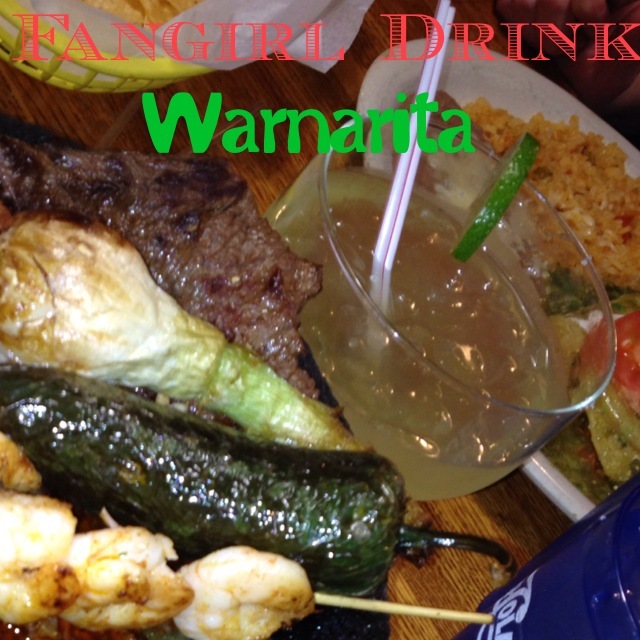 We looked fangirlicious, if I do say so myself!! 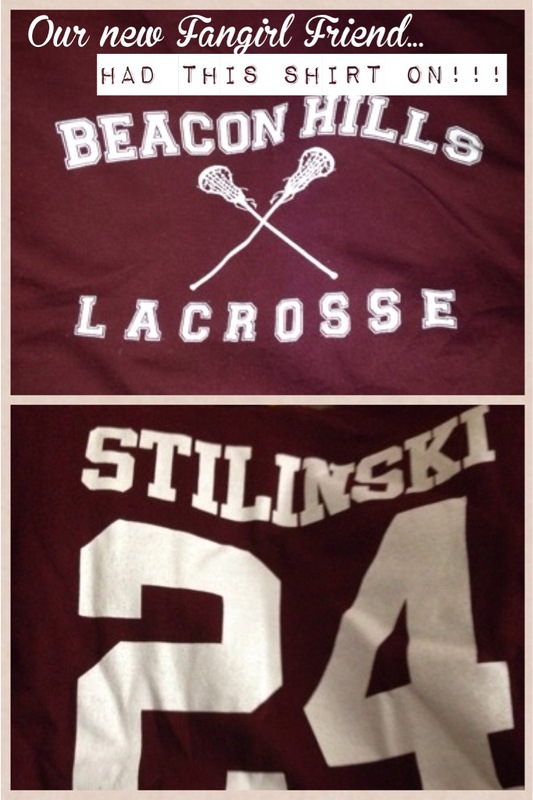 Ticket Line: Casey identified a fellow fangirl by way of her Beacon Hills Lacrosse hoodie with Stilinksi on the back, much like the sweatshirt my husband got me for Christmas! We introduced ourselves and fangirled appropriately. Before the Trailers: We located perfect viewing seats in the center of the theater and as Casey left to get refreshments, I marched up to our new fangirl friend to discuss other book-to-film adaptations. I shared our website info and told her to look us up for a shoutout! (“HEY FANGIRL!”) Her father was with her and he has read many of the same books, including all of the Mortal Instruments. When Casey joined our conversation, I believe she convinced him to give Infernal Devices a chance. FangirlMom challenge achieved! Trailers: We love trailers! Our personal favorite was the Divergent trailer, which included footage from all of the trailers that have been released, including the dog simulation part released this week! It was so beautiful up on the big screen. Looking at Four, Casey could not even breathe and I was breathing too quickly = fangirling! VAMPIRE ACADEMY: To be honest, I squealed when it started. Having read the book in May of last year, I have followed the fandom through the tightly closed set, fangirling over pictures of signs and chairs or any other tidbit approved for public viewing. Richelle Mead has definitely kept us aware of anything she could but nothing would have prepared me for how good the movie actually was. Five reasons I loved the movie. When the credits rolled at the end, I had no scenes left on my “MUST BE IN THE MOVIE” checklist. All of the important scenes were there. There were some minor tweaks made which made sense to me, for example calling it a love charm instead of a lust charm. The only thing I wondered about was I don’t remember seeing anyone under the desk while the headmistress was on top of it with a boy, as I saw in a released movie still. Maybe I sneezed and missed it? Zoey Deutch was the PERFECT Rose. She got her attitude, her snark, her flirtation, and her overall badassery exactly right! She wasn’t the only one to become the character, either. Danila nailed Dimitri. Cameron is Mason. Dominic personified Christian. Nobody could have given us a better Natalie than Sarah. And if you need Princess Lissa, Lucy is your gal. The casting department deserves a round of applause and when the credits rolled, that’s what I gave them! The feels were real y’all. I am an honest reviewer who avoids spoilers and I won’t get specific here about what caused my feels, but let me get specific about what I felt. I had goosebumps, I had hair raise on the back of my neck, I had hot flashes (and no, I’m not that old of a mom) and I laughed out loud… a lot!! This movie has chemistry, scary moments, and humor. The humor you remember from the book is there, but there are new elements added in as well. You will laugh! We were in this movie and if you are a fangirl, you were in this movie as well. In a public area, the main characters encounter a gaggle of girls squealing about something they seemed excited about. I turned to Casey and whispered, “They’re fangirling!” as Casey said, “That’s us!” to me. It was an epic moment and as strange as it may seem, really made me feel like that part of the movie was a nod to “our kind”. Possibly my favorite reason to love Vampire Academy was the cliffhanger they put in the end to point toward the sequel. If you have read the books, you know what the second book entails and the genius filmmakers dedicated a few seconds to a teaser from it. I was surprised and pleased that they did that and it got me so excited to learn about the sequel getting the green light. If you want to see that too, do your part and go see Vampire Academy in a theater near you!! !